Over the past two crochet-alongs, I've had the opportunity to meet several other amazing designers who, like me, are getting started along the path of selling their own patterns. One of those designers is Clara. Clara is a student, living in Barcelona, and the creator of AmiEggs (http://www.etsy.com/shop/nayami). IBS: Where/how did you learn to crochet? 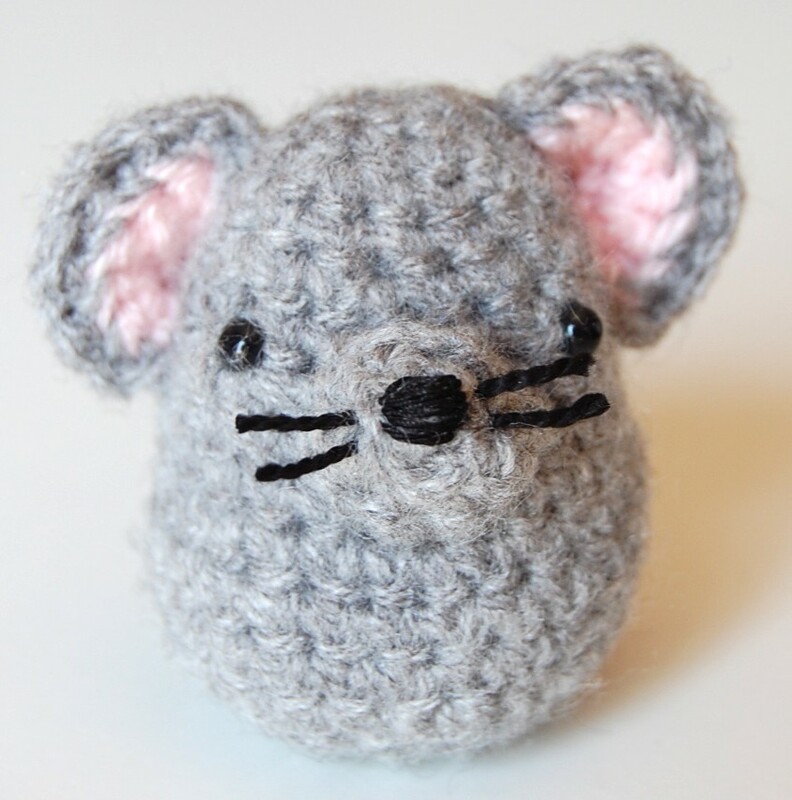 IBS: What was your first amigurumi project? 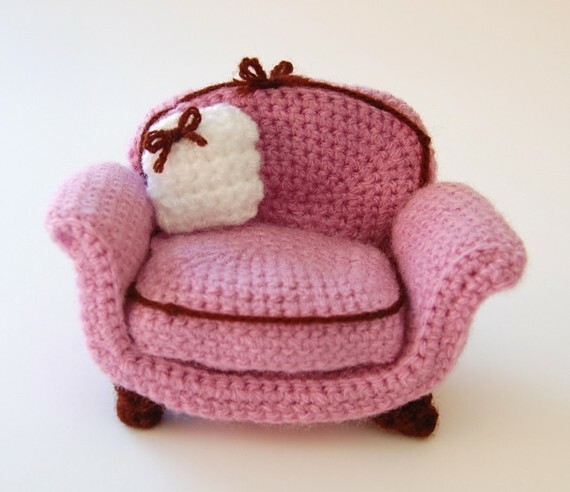 IBS: With all the beautiful crochet projects out there, why did you choose amigurumi crochet as your specialty? Clara: I tried making a hat and a scarf, but it is so much more fun to make cute stuff!!! 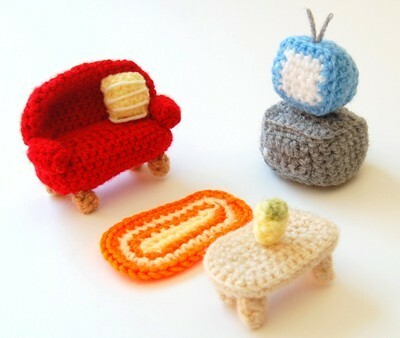 So I started making toys (I have a collection of amigurumi eggs), and then one day I had the idea of making furniture... and a few patterns later, I still love both! IBS: What inspires your designs? IBS: What made you decide to go on to pattern-writing? Clara: I started making small amigurumi, but when I changed to larger projects like my first armchair, I decided it was too much work to sell made, since I take a couple hours to make each item and I'd have to sell it at high prices I myself wouldn't pay to cover up my costs. That is where the idea of making and selling patterns instead of the finished products came from. IBS: What is your work area like? Clara: I actually have little space, so I work in my room. During the summer, I was stuck home because of a leg injury, and sat on the living room table with all the stuff I needed at an arm's reach, but since classes started over again and my leg got better I moved back to my room, and my yarns have to share space in my drawers next to my books and other stuff. IBS: If you could choose any place in the world to hang out with your hook and yarn and spend a few hours crocheting, where would that be? Clara: Wow that's a good question... I think I'd chose somewhere quiet and still, like a sunny day in the countryside, leaning against a big tree. IBS: Tell us about some of your other passions (besides crochet). What do you like to do in your free time? IBS: How do you fit crochet in with the rest of your life? 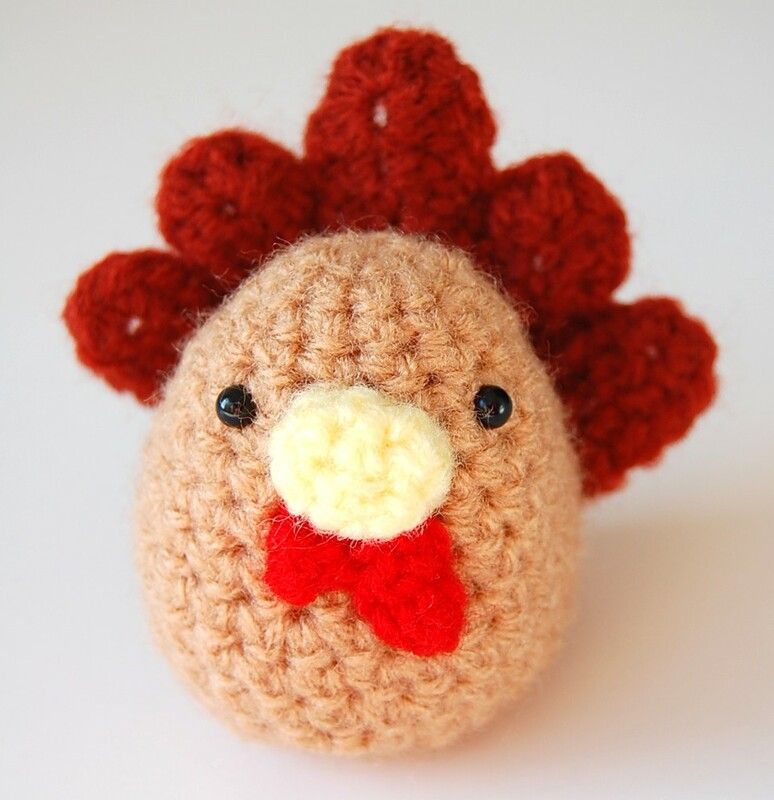 IBS: Do you have any advice for new crocheters and budding amigurumi designers? Thanks so much for taking the time to chat with me Clara! Note: To get to know Clara and her work even better, you can also check out her blog (http://ami-eggs.blogspot.com), her Flikr photostream (http://www.flickr.com/photos/clara_amigurumi/), and her Facebook page (http://www.facebook.com/amieggs). 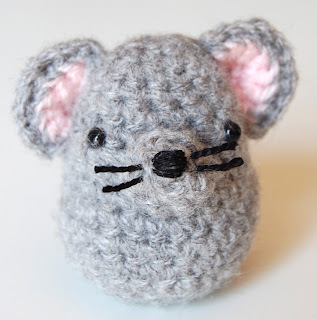 GP - I think you might be interested to know then that AmiEggs and I are putting together a little pattern giveaway slated to happen sometime here in the near future ;-) Keep your eye on the blog for details! Cutest ami ever! The little furniture is completely amazing!